Display advertising on targeted, native social media feeds and industry magazine websites are important in today’s business environment and your advertisement should be effective in winning you business. 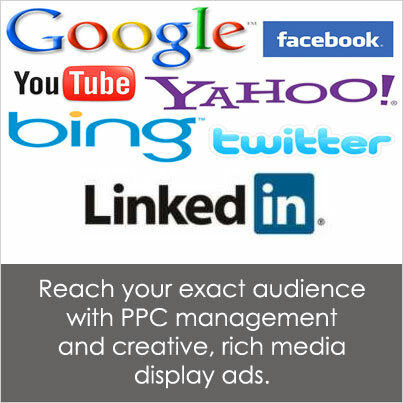 Google recently claimed that 75 percent of all ads will be social in nature by 2015. With more people joining social media sites and sharing information with friends online, it only makes sense for marketers to think of ways to easily combine social media and advertising in ways that are creative, relevant, and suited for their brand. We work with you to research and understand the competitive nature of your industry and create ad designs that work for your business. Compliment your current SEO and SEM campaigns. Expand your Florida brand nationally this year! Rich media display advertising is an extremely versatile tool that will bring qualified leads to your Website landing pages. We can help you determine which sites offer the lowest cost when delivering to your desired demographic. Bright Green Path Web Solutions can design and manage display advertising campaigns across a variety of ad networks, online magazines, geo-targeted, and industry publications. We can help you determine which sites offer the lowest cost when delivering to your desired demographic.